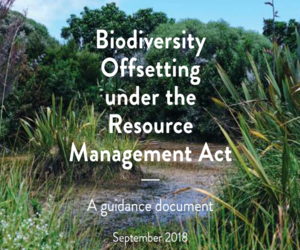 The five chapters cover all aspects of biodiversity offsetting under the RMA, from policy development to consent compliance. Click here for the full guidance document. To read a summary of the work click here.